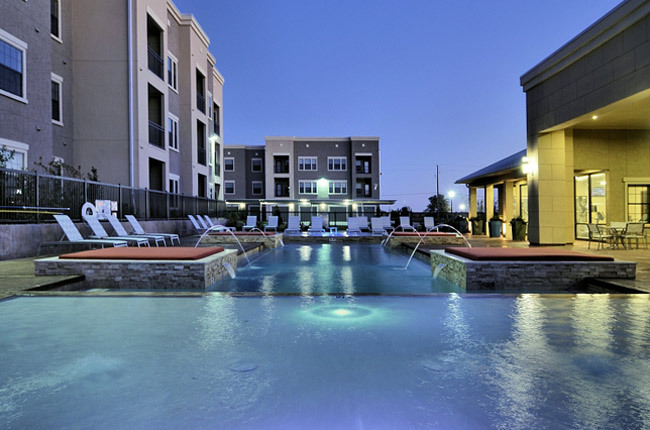 Oxford at Crossroads Centre offers upscale apartments in Waxahachie, Texas, which includes all of the modern amenities expected by even the most discerning resident. These luxury apartments are infused with modern fixtures and high-end finishes all within thoughtfully designed open floor plans. Residents have the ability to choose from our stylishly appointed one, two, or three bedroom floor plans. You will soon discover that our community amenities aim to please: take a dip in our sparkling swimming pool, squeeze in a workout in our fully equipped fitness center with free weights, or meet your fellow residents in our extraordinary clubhouse. At Oxford at Crossroads Centre, we uphold the idea that time spent at home should be relaxing, which is why we encourage a maintenance-free lifestyle through our plethora of apartment and community features. Oxford at Crossroads Centre offers big city amenities in a small-town setting. We feature close proximity to Interstate 35E, Highway 287, and the Dallas Highway, making your weekday commute or weekend getaways simple and stress-free. For foodies, a plethora of restaurants align Highway 77 such as College Street Pub, Two Amigos Taqueria, and the Tuscan Slice. If you prefer to dine at home, the area features numerous shopping opportunities at Walmart Supercenter, Aldi Supermarket, and H-E-B. Best of all, we are a mere five minutes from Southwestern Assemblies of God University, and we welcome university students and staff with open arms. Our location is what makes us stand out from the rest! Schedule your personalized tour of Oxford at Crossroads Centre.